Now the nation has just about got its breath back after Team GB’s intoxicating success at the Olympic Games in Rio, attention turns to Rio once more for the 2016 Paralympic Games. The Games get underway on Wednesday 7 September and GB will be hoping to emulate its successes at London 2012, where they won an astonishing 120 medals – including 34 golds – and finished 3rd in the medals table, behind China and Russia. This time, Great Britain has dispatched a team of 264 athletes to compete in Rio across 19 sports. Team GB has never finished outside the top five in the Paralympics medals table but confidence is high that they can go one or even two places better this time. Here we take a look at some of the contenders in our favourite sports. Archery returns to the iconic Sambodromo between 10-17 September and GB will be represented by a ten-strong team including Beijing 2008 gold medallist John Stubbs and John Cavanagh, a Paralympic veteran of four previous Games. 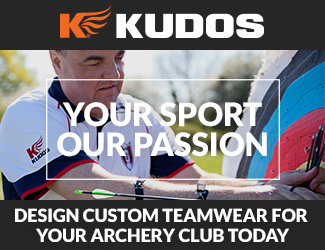 At London 2012 we took one archery gold, courtesy of Kudos ambassador Danielle Brown MBE in the women’s individual compound, and one silver. Danielle successfully defended the title she won in Beijing in 2008 by beating fellow Brit Mel Clarke 6-4 in the final. With Danielle now retired from the sport, the future is represented by 15 year old world record holder Jess Stretton. Also selected is Mike Hall – an army veteran who won individual bronze and team gold at the 2014 Invictus Games. I am incredibly proud to be selected, it is such an honour to be able to represent my country and to do so at the highest level in sport is just amazing. Also set to make his Paralympic debut is former Scotland U21 rugby union player Nathan Macqueen. Our athletics squad hoovered up 29 medals last time – 11 gold, 7 silver and 11 bronze – and the likes of David Weir, Jonnie Peacock and Hannah Cockroft became household names. They are included in the squad once again, alongside other stars of 2012 including Richard Whitehead and Aled Davies. Whitehead won 200m gold in 2012 and he goes for the 100m / 200m sprint double this time. The athletics take place between 8-18 September and after a glut of medals at last year’s World Championships, hopes are high again. A 30-strong team will represent GB in the swimming, between 8-17 September, undaunted by the incredible 39 medals won by British swimmers in 2012. The likes of Ellie Simmonds rocketed to stardom in London, and GB will be hoping to create more stars this time around. 20 of the squad bring Paralympic experience – including Sascha Kindred appearing in his sixth Games – while 13 year old Abby Kane will be making her debut. British sporting success has scaled unprecedented heights of late, and the Paralympic squad will certainly take inspiration from Team GB’s incredible Rio Olympics. Let’s get behind them! Everyone at KUDOS would like to wish the team every success – we will be glued to the action. 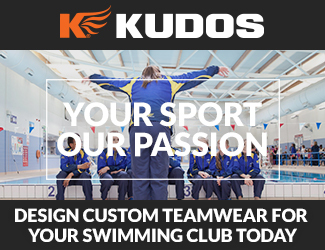 KUDOS passionately supports and encourages people from all walks of life to take part in sporting activity at any level, from grassroots to the top. We recognise that sport is a powerful force for good.